Today is day 13 of our hatch-along. Eight days remain until the expected hatch, which always feels like an eternity to me. 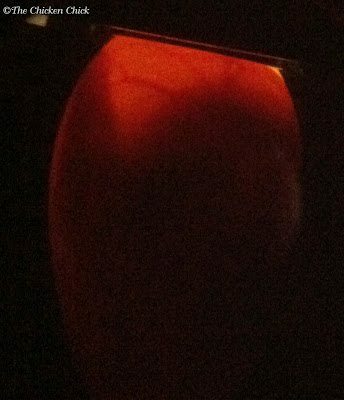 At this point, the embryo occupies quite a bit of room inside the eggshell and the vascular network has evolved to the point where it is difficult to see much of anything except shadows while candling. 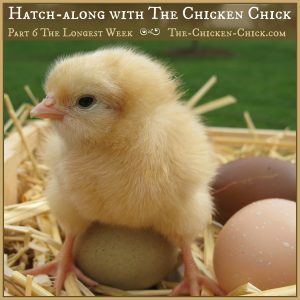 In the next five days, development will be substantially completed and then the embryo will begin to position itself for the hard work of hatching out of the egg. 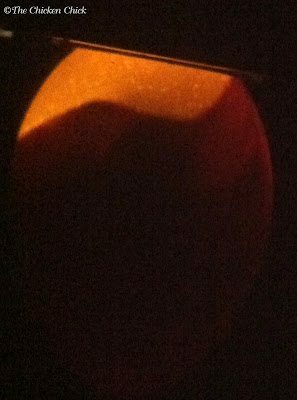 This video illustrates what would be the most we could hope to see while candling on day 15 of incubation. This video was taken of a white egg, which is much easier to see through than our light brown, Buff Orpington eggs. 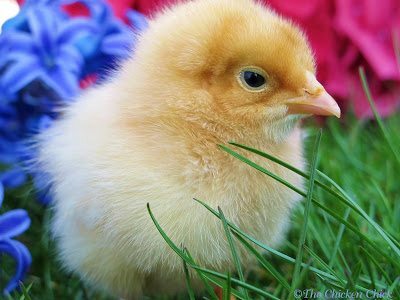 If you have been following the saga, you know that I had set five Buff Orpington eggs in my Brinsea Mini Advance incubator on September 15th. Shortly thereafter, I broke the fan, which required relocating the eggs to the nest of one of my broody hens. 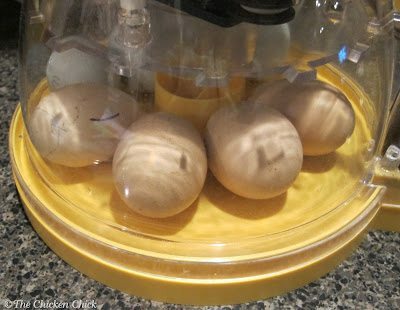 I received a replacement fan from Brinsea today and while the broody has been happy to assist in the hatch-along, it was time for the eggs to go back into the bator, simply so that I could continue to document the process with the best view possible. I thanked her for her efforts and apologized for the intrusion as I reached underneath her to take the eggs. When I did, it was immediately clear to me that at least one of the eggs had gone bad by virtue of a faint, yet distinctive odor. I worked quickly and very carefully so as not to detonate the bad egg, which had yet to be identified. 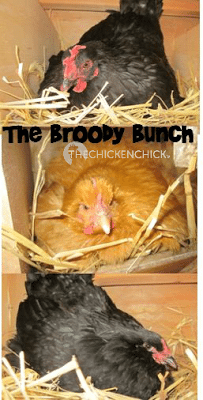 As a consolation to the broody, I borrowed a few eggs from a neighboring broody hen to share with the expectant hen who had just been mugged for her eggs. Hens do not recognize ‘their eggs’ from another hen’s, and since they can’t count, it doesn’t matter to them how many they’re sitting on either. I candled eggs #1-4 first (as any good, obsessive-compulsive would). The first four eggs looked to be developing on track. I could see movement in three of the four. Beyond movement, the most we can hope to see at this point is the silhouette of the embryo and an ever-smaller air cell at the wide end. 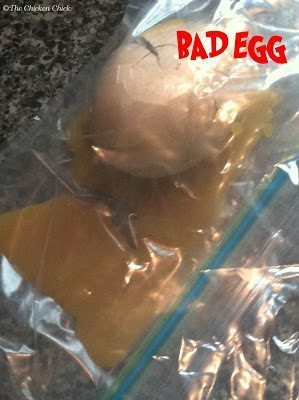 While it would have been useful to show you what the bad egg looked like as it was candled, I err on the side of extreme caution when handling bad eggs. As soon as I picked it up and brought it near my nose, I knew it had expired without ever having to candle it. Bacteria had penetrated the eggshell, causing embryo death and the result was the putrid brown liquid seen below. Egg #5 went directly into two zip-top bags for disposal (and detonation, because I’m curious like that). With nothing more to do for the next 5 days, we wait. 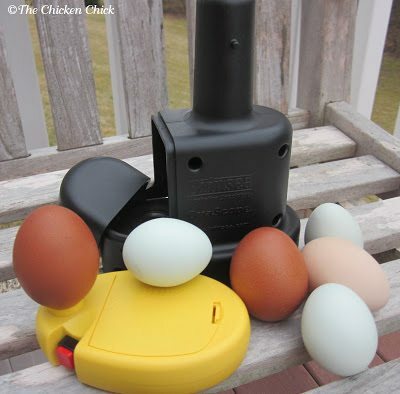 I will candle one last time on day 18, which is affectionately referred to as ‘lockdown.’ After lockdown, the bator is kept closed until the chicks hatch so as not to interfere with temperature and humidity settings and risk losing embryos. So, now we wait, keeping our eyes on the prize! 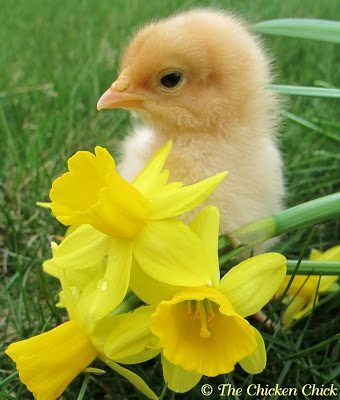 Crazy thing doesn't know when to stop, stealing every egg in sight! AHHHHH! I couldn't get one of them because there was nothing there. Hatch along 7 doesn't have anything on it. Wow, really great info! I'll have to refer back to this next year when we plan to hatch our own eggs. 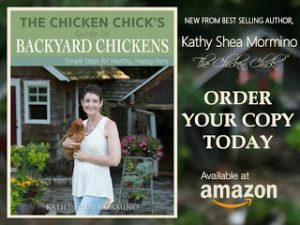 From what I've read on other blogs, not only do chickens not recognize their eggs; you can give them pretty much any fertile egg to hatch.